Now this looks like it could be fun. Such a hot button topic. 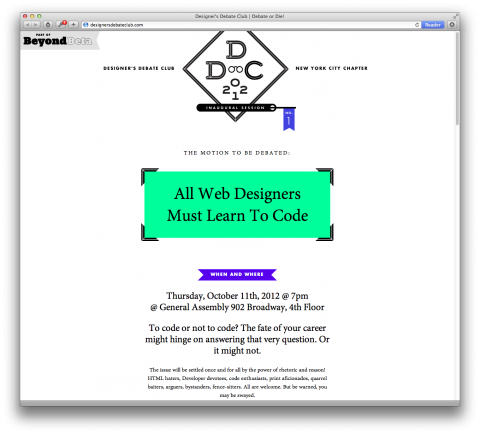 “All Web Designers Must Learn To Code”. It’s a shame I can’t be there to throw stuff.